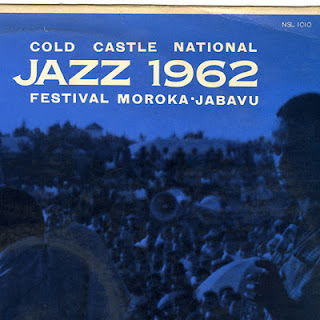 Continuing the mbaqanga theme (if you haven't already, see Chris Albertyn’s excellent post featuring, among others, West Nkosi, Reggie Msomi, the Mthunzini Girls, and a jive-tastic Nick Moyake), Electric Jive today presents another "EJ mix" of classic mbaqanga material – featuring tunes from some of the great female mbaqanga groups of the 1960s and the 1970s. In the mix, we spotlight some well-known groups and vocalists. Here are a few insights into the artists that form the basis of today’s special posting. 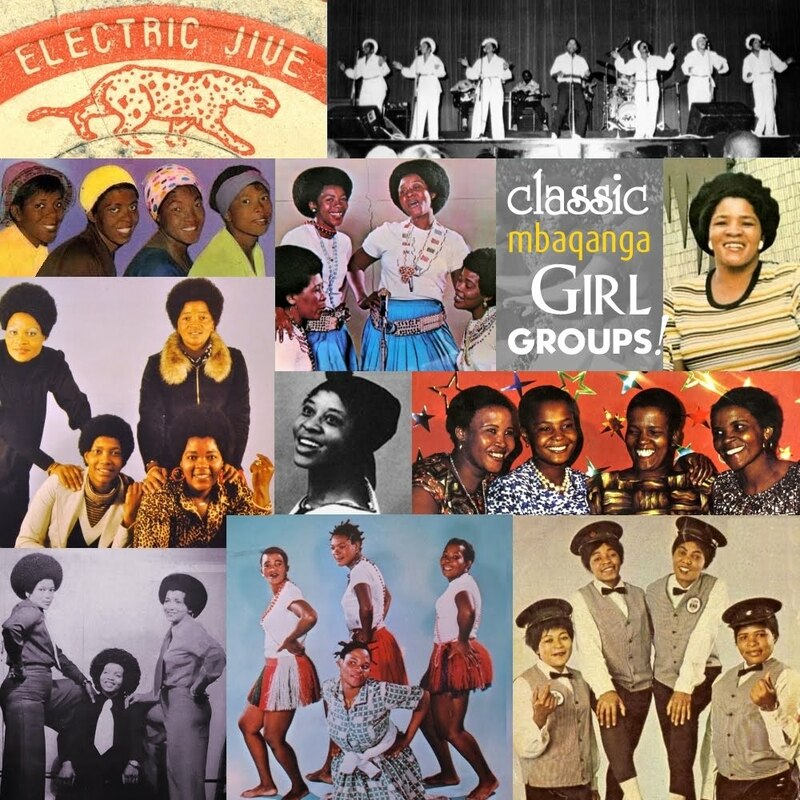 Top of the list here at EJ is undoubtedly the Mahotella Queens (who also recorded as Soweto Stars, Izintombi Zo Mgqashiyo, Mahlokohloko Stars, Sweet Home Dames, and Dima Sisters), whose signature vocal and dance styles put them on the road to stardom during the mid-to-late 1960s. Backed by the Makhona Tsohle Band and fronted most of the time by their king, Simon “Mahlathini” Nkabinde, the Queens ruled supreme from 1964 until the late 1970s, when female groups – along with the popularity of mbaqanga generally – began to wane. More than thirty female singers have at one time constituted the line-up of the Mahotella Queens, though their stage appearances have never featured more than six ladies at a time. The more notable members over the years have included sopranos Hilda Tloubatla, Nunu Maseko, Emily Zwane and Thandi Nkosi, altos Juliet Mazamisa, Nobesuthu Shawe and Windy Sibeko, and tenors Mildred Mangxola and Caroline Kapentar among many others. The current line-up of the Queens contains three of the original 1960s team, and they continue to draw big audiences (particularly in Europe) to this day. See here for a much fuller history of the Queens, get the first Queens LP here, and see here for a special EJ mix devoted to Mahlathini. Of equally significant importance is Izintombi Zesi Manje Manje, who were formed in 1967 as a rival team to the Queens. By the time Izintombi was formed, the Queens had set in stone their unique styling and were the yardstick by which other female mbaqanga groups were measured. But with a line-up that included – at various points – Sannah Mnguni, Nunu Maseko, Thoko Khumalo, Jane Dlamini, Nobesuthu Shawe and Lindiwe Mthembu – it wasn’t easy for the Mahotella Queens of the 1970s to keep up with Izintombi! The classic live line-up of the early 1970s was the trio of Jane Dlamini, Lindiwe Mthembu and Nobesuthu Shawe (stood on the stage in that order), but the recording line-up also featured Ruth Mafuxwana and Hilda Tloubatla in prominent voice. Izintombi Zesi Manje Manje members also recorded under the name S’Modern Girls. 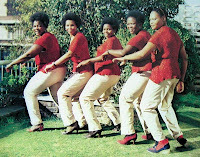 Along with the Mahotella Queens, Izintombi found it hard going to sustain their popularity into the 1980s, even with a revised sound. Two mushroomings of the original group still exist to this day but only on very small, local scales. Here is a collection of some of Izintombi’s best 1960s material, and here is a share of one of their late 1970s albums. Julia Yende’s strong vocal talent rose her to the top. 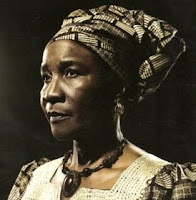 She started first with the Dark City Sisters in the early 1960s, and then in the Mahotella Queens from 1966. Her talent earned her the love of king Mahlathini and then, following a brief spell in the Queens recording and touring line-ups, a group of her own: the Mthunzini Girls (previously one of the loose pseudonyms used for the Queens). Mthunzini Girls usually comprised Yende alongside Windy Sibeko, Thoko Mdlalose, Virginia Teffo and Teddy Nkutha in their 1960s heyday, but by the early 1970s, opened up to include Olive Masinga, Phyllis Zwane and Irene Mawela. Some of the more junior Mthunzini Girls members also recorded under the name Izingane Zo Mgqashiyo. Another notable group who also recorded under the Izingane Zo Mgqashiyo name is Izintombi Zomoya, featuring (most notably) Thandi Nkosi, Caroline Kapentar, Beatrice Ngcobo, Constance Ngema and Eunice Kwekwe – some of whom became talented enough to rise through the ranks and join the Mahotella Queens frontline in the late 1970s and early 1980s. 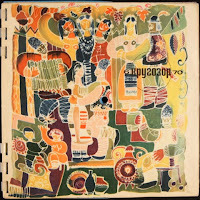 See here for an excellent 1973 Izintombi Zomoya album. 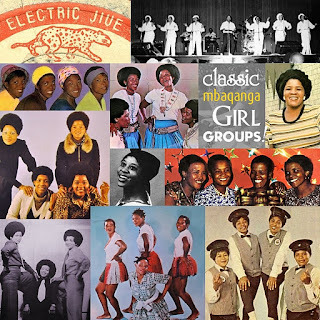 By all means a first-rate act, the one and only Dark City Sisters were a vital part of the mbaqanga girl group scene of the 1960s. Formed in 1958 and quickly becoming South Africa’s most popular female group of the early ‘60s, the Sisters were at the forefront of the shift from the old marabi swing rhythms to the harder, sturdier and yet more traditional jive sound of the 1960s. At the helm of the group in spite of an ever-changing line-up was the sweet-voiced Joyce Mogatusi. Various groupings of the Sisters also recorded as the Killingstone Stars and the Flying Jazz Queens. Some of the most significant voices to grace the Sisters throughout the years aside from the great Mogatusi include Nunu Maseko, Esther Khoza, Grace Msika, Audrey Zwane, Doris Ntuli and Emily Zwane. After the formation of the Mahotella Queens and subsequent growth of Izintombi Zesi Manje Manje, the Sisters were forced to update their soft styling to the new, tough mbaqanga. The Sisters remained popular and active, but in the shadow of these new, younger groups. After a brief split in 1971, the group returned with Joyce at the helm in 1973. The Sisters continued to record and perform until the early 1980s when they again split up. They were back again by the end of the decade, though, and recorded a comeback album in 1994 (which we hope to share with EJ readers sometime soon). The Sisters are still around in one form or another today, featuring the magic duo of Joyce Mogatusi and Grace Moeketsi (formerly Msika) – both of them still golden voices in their golden years. Here is a classic album of their very early (1960 – 1962) material. Irene Mawela was seventeen years of age when Rupert Bopape saw her singing at a wedding in Limpopo. Impressed with her sweet, saccharine vocals, Bopape quickly brought her to Johannesburg (one assumes with Irene’s parents’ permission!) and so she began a lengthy career as a studio singer: first with Bopape at EMI (and in such legendary line-ups as the Dark City Sisters and the Killingstone Stars), then with Cuthbert Matumba at Troubadour, then under Daniel Makhubela at Trutone, and finally back with Bopape at Gallo’s Mavuthela in 1969. At the company she began recording with a small session quintet under the names Irene and the Sweet Melodians, and the Mgababa Queens. She also recorded her instantly recognisable voice onto hits by the Mthunzini Girls and Izintombi Zomoya, the lower-tier girl group line-ups. Bopape and Mawela grew close and, by the mid-1970s, were man and wife. Further into the 1970s, Bopape and Mawela began working together more closely in the studio – writing together and later on singing together. Mawela graduated up into the line-up of the Mahotella Queens around 1978, where she stayed for a few years before launching her own solo career. Lastly, The Queens (not the Mahotella Queens!) 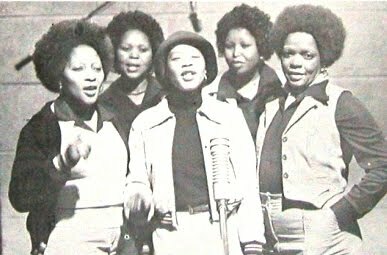 were the tight band of female singers who backed Mahlathini at Satbel Record Company (from 1972 to 1977) and EMI (1978 to c. 1980). When Mahlathini left Gallo-Mavuthela in 1972, some of the Mahotella members followed him, creating the newly-formed The Queens. Most notably Mildred Mangxola (the leader of The Queens), Jane Makhanya, Nunu Maseko and Thoko Nontsontwa. The other singers included Paulina Zulu, Jane Twala, Belinda Sithole and Agnes Mhlauli. Although they primarily served as Mahlathini’s backing group, they sometimes recorded their own fantastic songs – two of the best are contained here. The thirty wonderful tunes in this EJ mix were originally recorded between 1962 and 1977, at the height of mbaqanga's rule over the townships of South Africa. Tough guitar, pounding bass, growling basses, and sublime female close-harmony vocals. What more could one ask for? Do yourself a favour... download this mix, listen to these fantastic grooves, and get ready to jive 'til you drop! YEBO! One of the artists that we have featured a number of times is guitarist Almon Memela. These include the much hyped LP Funky Africa and the late sixties AM Stragglers LP. 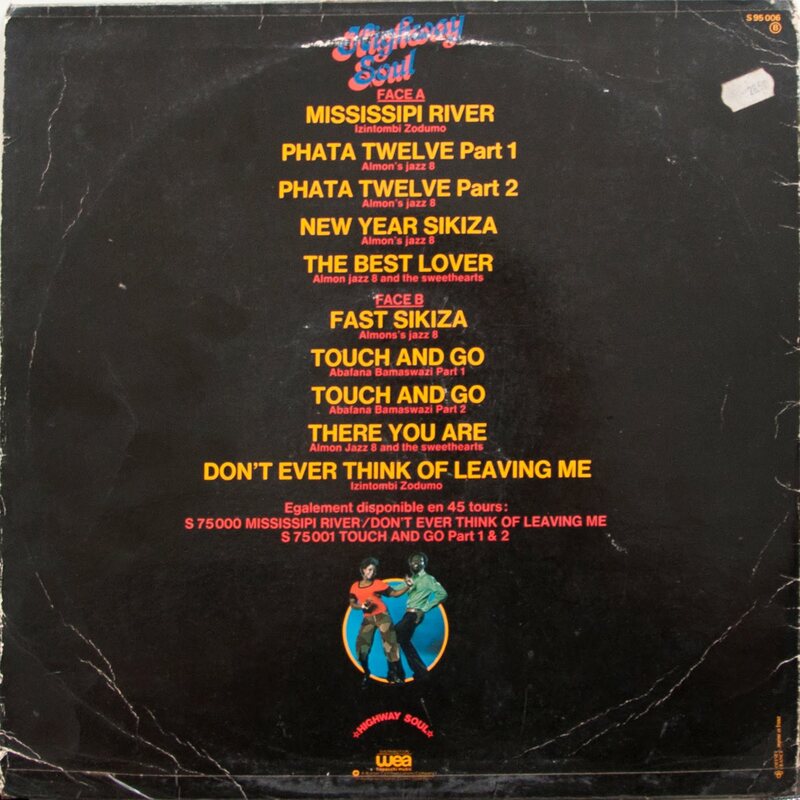 Aside from these outings we are unaware of any other full length excursions aside from some of his production work such as this French issued compilation from 1977 being shared today. Enjoy! For the last six years I have been working on a project documenting the work of Miriam Makeba. 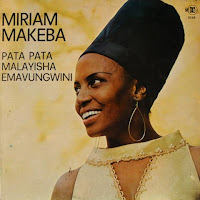 After reading the liner notes of her highly political 1965 LP An Evening with Harry Belafonte and Miriam Makeba, it dawned on me that these mass-produced commodities, issued all over the world, were a perfect and significant vehicle for spreading an anti-apartheid message. I set a goal to accumulate as many examples as I could of those messages and in the process discovered some amazing music. Over her prolific career, from 1954 up to her death in 2008, Makeba issued no less than 29 individual albums along with countless 78s, 45s and EPs, pressed in at least 33 countries. In addition, over 28 compilations of her works have been and continue to be issued on compact disc. For my post today I constructed a small experiment using iTunes as a database. First I dumped every “best of” Makeba CD in my collection into the application. Secondly I loaded at least one copy of each of her albums; as well as digitizing those not available on CD. I then picked through the singles and EPs and digitized tracks not found on albums. The provisional result was 832 songs or two days of listening to comb through. My goal here was see what songs were more popular—widely issued on multiple pressings—and which were less common. I was also curious to see how many variations of individual songs there were. From that list I then selected tracks or versions of tracks (with one or two exceptions) that seemed to come up only once. For the most part these were tracks that either had never been reissued on CD or if they were, are seldom, if at all, included on her “best of” compilations. 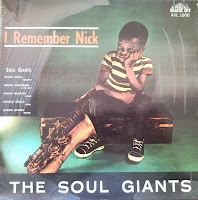 I was surprised to see the number of significant hits and gems remaining un-reissued. 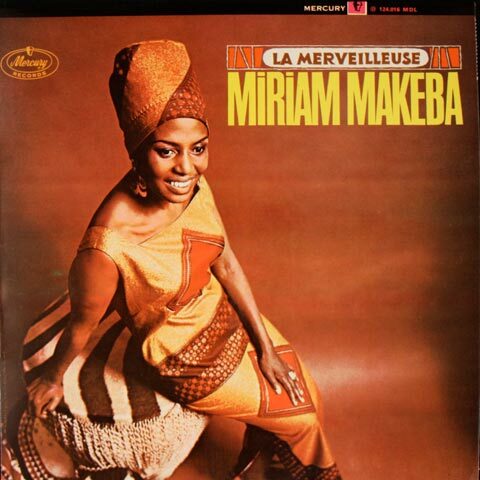 Of the 29 albums made by Makeba, there are at least six that have never been re-issued on CD. (Some of these can be viewed here.) Of those that have been reissued (and this is my biggest gripe) almost none include the original cover art or liner notes, but rather come across as budget-bin reissues. Where are all those fancy digipaks? Here are some notable side facts from the project: The song with the most versions is Qoqotwane (aka The Click Song) with at least nine variations. Amampondo comes second with seven variations. 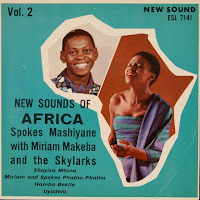 The songs that appears to be most commonly included on albums are Miriam and Spokes’ Phatha Phatha with the Skylarks (here there were at least nine repetitions); Hush and a live version of Jolinkomo with eight repetitions; Kutheni Sithandwa, Live Humble and Orlando with seven repetions; and Kikirikiki (Chicken), Samba, Pata Pata, the live version of West Wind all with six repetitions. Of course this examination is by no means scientific, but I thought it still interesting. Avid collectors of South African music will be familiar with this track, featuring a wordless interpretation by Makeba of the Ellington tune with Lemmy Special Mabaso on flute and Jimmy Pratt on piano. I have only ever seen this record as a UK pressing, but the ABC matrix leads me to wonder if there might be an equivalent South African pressing. 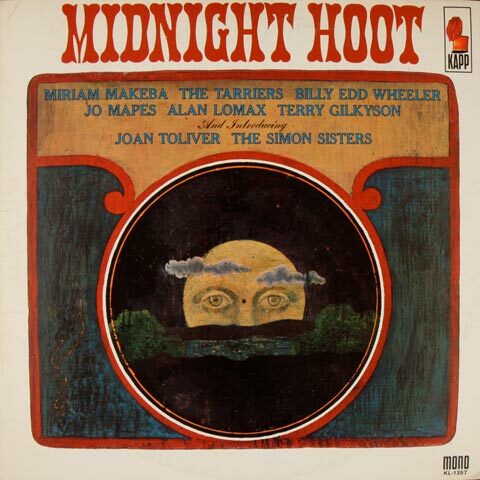 No doubt, all the tracks on this LP were probably issued as 78 rpms by Gallo Records. 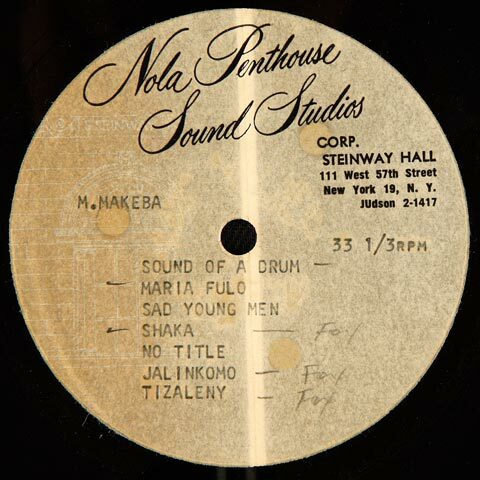 For what it is worth, this track is probably the first “vinyl” recording to feature Makeba. When I first saw this EP, I assumed it was a promotional complement to Gallo’s two fantastic compilation LPs New Sounds of Africa volumes 1 (NSL 1001) and 2 (NSL 1002), first issued on the New Sound label in 1960. (The former LP also being issued on the Fiesta label in the USA.) 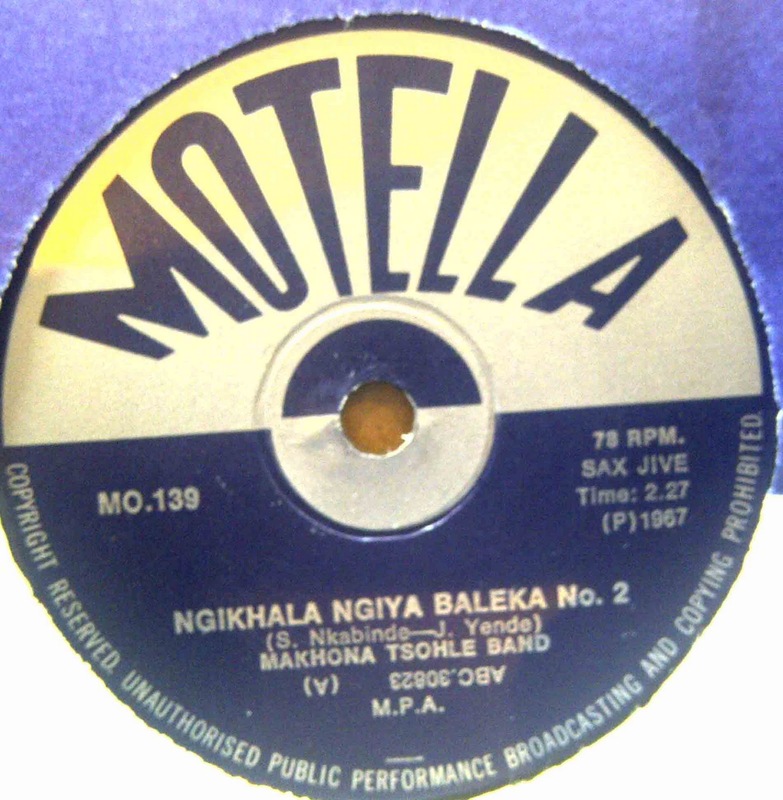 Though two of the tracks from the EP are on the second LP, the remaining two are not, including this track, Hamba Bekile, featuring Makeba with the Skylarks and Spokes Mashiyane on flute. Oddly the track is also not included on Rob Allingham and Albert Ralulimi’s two fantastic CD compilations of Skylark’s material: Miriam Makeba and the Skylarks (1956 – 1959) Vol. 1 (CDGSP 3130) and 2 (CDGSP 3131). (Be sure to get the 2008 CD reissues, each boasting five additional tracks and superior sound quality.) 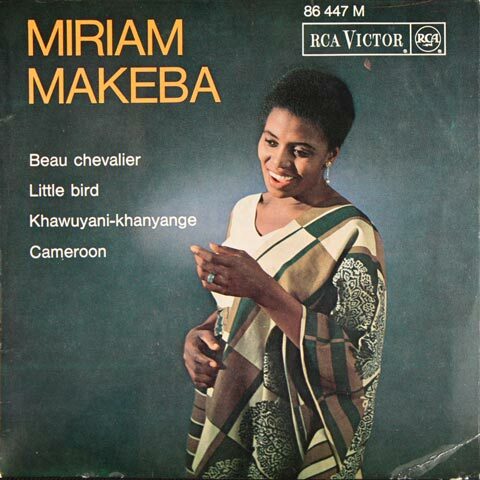 The cover of the EP shows an image of Makeba taken from her 1960 debut album on RCA Records in the US, but the matrix number on the EP (ABC 23850) reveals that it was probably issued around 1963. Again this track would have originally been issued as a 78 rpm in South Africa. 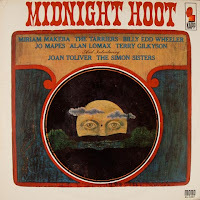 Both these tracks appear to be live recordings from a folk concert that included Alan Lomax, amongst others, and was issued as the Midnight Hoot on Kapp records. 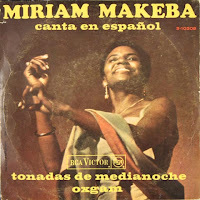 The studio versions of the two songs also appear on Makeba’s second LP The Many Voices of Miriam Makeba released by Kapp Records in 1962. I have tried to find a recording date for this concert but cannot—I suspect somewhere around late 1963 or early 1964. It is possible that Kapp re-constructed the LP as a live recording… the deliveries here sound almost too tight to be live! 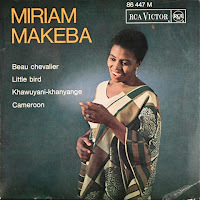 It is not clear to me why Makeba, after recording her first LP with RCA in 1960 then recorded her second LP with Kapp Records and then returned to RCA for her next five LPs. My only guess is it had something to do with that fact that Gallo demanded that RCA pay a whopping $75 000 to buy Makeba out of her ‘royalty–free’ [my sarcasm] contract with Gallo in 1960. Lawyers finally agreed on a $45 000 buy-out where Gallo also retained the rights to publish that first US recording made by RCA. Subsequently all international pressings of her first album state “Recorded for Gallo” except for the US pressings. Both her first and second LPs were issued in South Africa on Gallo’s London (ZA 6037) and Continental (ZA 6135) labels respectively. Because of the deal, Makeba never saw any royalties from her first album—all proceeds going to pay back RCA for the buy-out from Gallo. Into Yam is one of the songs that Makeba sings in Lionel Rogosin’s clandestine, 1959 film Come Back Africa about township life in South Africa. The film premiered at the 1959 Venice Film Festival and it was Rogosin who bribed South African officials to let Makeba come to Italy for the presentation. She would not return to South Africa for the next 30 years. Rogosin along with Harry Belafonte financed Makeba’s travels to the US and arranged for her to appear on the Steve Allen show in November 1959. The first song she sang on live television in the United States was Into Yam. 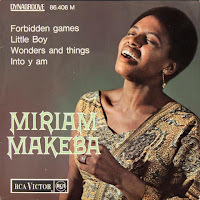 The version of Into Yam on this compilation as well as Little Boy, both featuring arrangements by Hugh Masekela, can be heard on her third LP The World of Miriam Makeba issued by RCA in 1963. Remarkably, neither track has been featured on any of Makeba’s many “best of” compilation CDs. 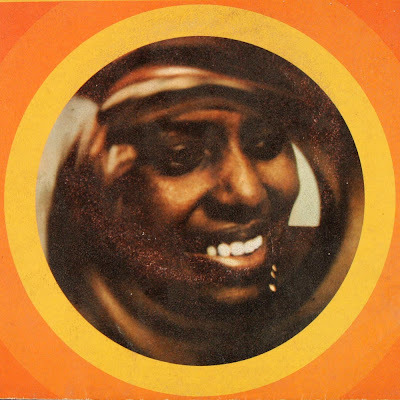 Makeba does sing an updated version of the song on her 2006 album Forever and there, unlike the earlier versions, the composition credits go to Dorothy Masuka. 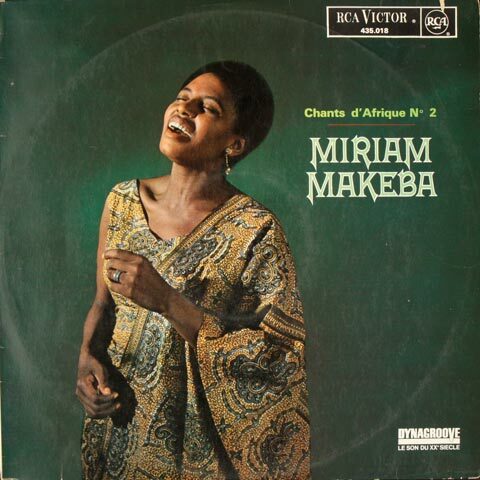 The Many Voices of Miriam Makeba LP has been reissued on CD, but as a budget, two-for-the-price-of-one CD (along with her debut album) and without the original cover art. 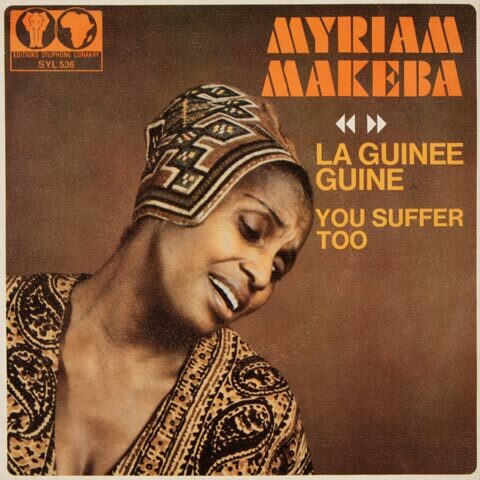 I am absolutely floored that Qhude has not been featured on more Makeba “best of” compilations. Moreover it is unbelievable that her fourth album, The Voice of Africa, while being reissued on vinyl a number of times, has never been available on CD. 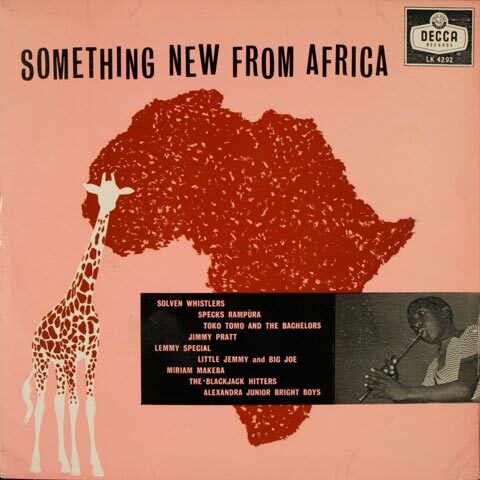 The only CD compilation to feature Qhude is a well-researched 1991 US issue titled Africa (now out of print.) This CD is also one of the few to include a number of other fabulous tracks from five of her first six albums including the amazing Dubula and Kwedini. Come to Glory also on The Voice of Africa is a West Indian gospel chant and is one of my favorites. 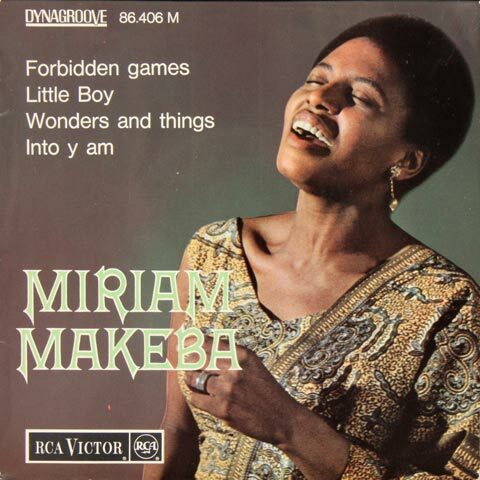 Makeba’s fifth album Miriam Sings! has seldom, if at all, been reissued on vinyl and never on CD, though it boasts some great tracks including her alternative version of Kilimanjaro. 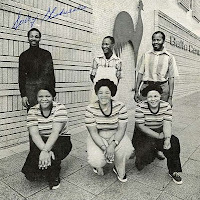 Khawuyani-Khanyange, arranged by Masekela, is a combination of two songs by Makeba and Dorothy Masuka respectively and features Betty Mtombeni, Mamsie Gwangwa, Edith Grootboom, Ernst Mohlomi, Caiphus Semenya and Paul Makgoba on vocals. Khuluma as the liner notes reveal is “another Mbaqanga from the townships, written by Betty Khoza, a singer from Durban living in Johannesburg” and also features Morris Goldberg on alto sax. (Check out more Betty Khoza and Morris Goldberg here.) In desperation to find clean copies of these two tracks, I broke down and opened a sealed copy I had found on eBay. All was not as it appeared and it turned out to be used… lesson here… be skeptical! Another shocking omission from many Makeba compilations is the original studio version of Oxgam (sometimes referred to as Click Song No.2); the preferred variation being the haunting, almost a cappella Baxabene Oxamu on the 1988 Sangoma album (one of her all time best LPs.) This Letta Mbulu track was first issued on Makeba’s 1966 LP, The Magic of Makeba and live versions are featured on In Concert! and the recently issued Live At Bern’s Salonger. The original album has also been reissued as part of a box set of seven of her LPs. Oxgam is a type of tongue twister meant to teach children how to pronounce clicks. Check out the funky organ stabs towards the end of the song! 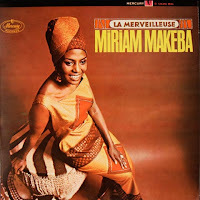 An interesting earlier version of Milélé with English lyrics on Makeba’s first Mercury release, The Magnificent Miriam Makeba. 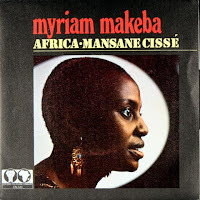 The later version was included on the album Myriam Makeba & Bongi, issued on Syliphon Conakry in 1975. 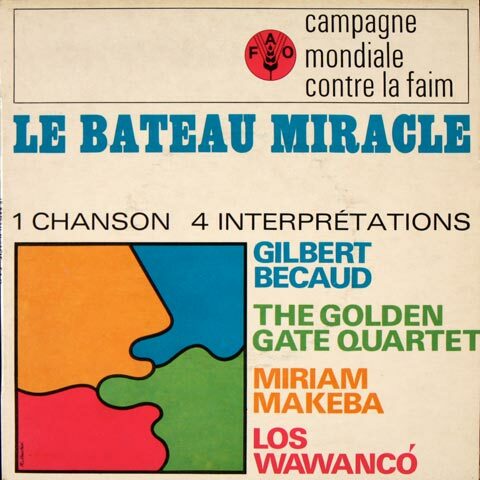 Chomba Cha Ajaba is a Makeba adaption of French singer Gilbert Bécaud’s Le Bateau Miracle or The Miracle Boat. 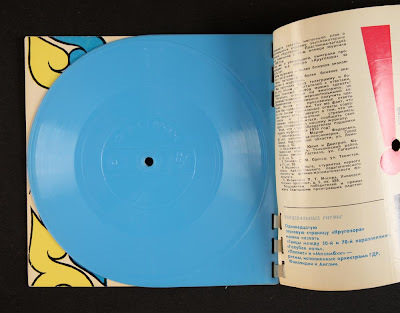 The EP, sponsored by the Food and Agricultural Organization of the United Nations (FAO) was issued in 1968 for their worldwide campaign against hunger. 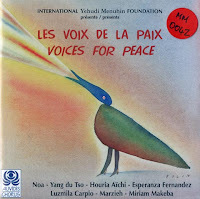 The EP was pressed in at least three countries: in France as Le Bateau Miracle, and in Ecuador and Mexico as El Barco Del Amor. This Manhattan Brothers track has a huge hit for Makeba in 1967. Remarkably it was not issued on the Pata Pata album (from about the same time) and existed as a single only. 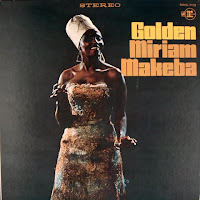 The only two LPs that feature the original studio version are the Japanese compilation Golden Miriam Makeba and the Italian version of Pata Pata. Also the song can be found as an added bonus track on the US CD reissue of Pata Pata. These two tracks are probably the rarest in the current selection. 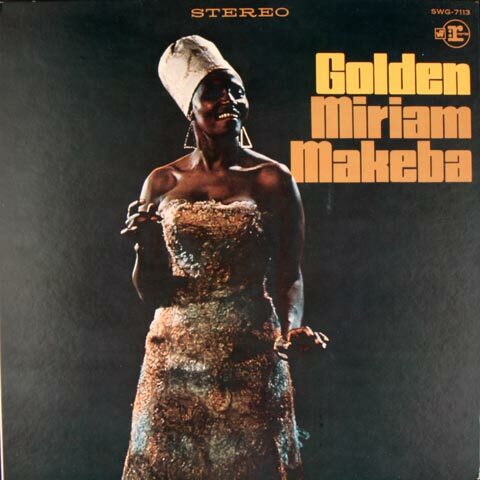 Both come from a steel demo disc featuring seven tracks, six of which would eventually appear on Makeba’s 1967 Mercury album All About Miriam. Of those tracks three would be further re-mixed on the famous Pata Pata album issued by Reprise in 1967. The tracks here are quite stripped down and my guess is they were used as reference for the future LPs. Their is a suggestion in the eBay auction that the disc may have come from the estate of Luchi DeJesus, the arranger of many of the tracks on All About Miriam and Pata Pata, but that is hard to verify. In all cases the final recordings are quite different from these demos but none are as distinct as The Ballad of Sad Young Men where the earlier version is quite somber compared with its upbeat final mix. This track is also most famous for being the b-side to the Pata Pata single. The Untitled demo track seems very familiar to me, but I can’t seem to identify it. Let us know if you recognize the tune. 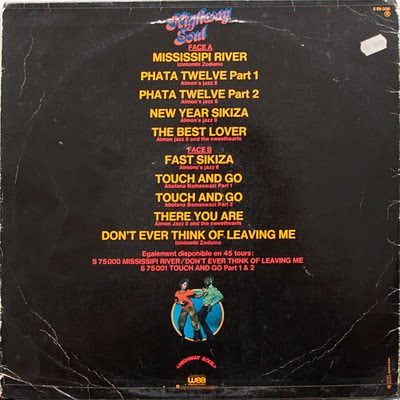 Ibablazie is another Letta Mbulu song that quite frankly addresses that morning after phenomenon known as a “hangover.” Remarkably this funky original studio version never made the cut on any of Makeba’s official albums—generally the live version is featured. Also note the English lyrics in this version. Emavungwini, a tune by Douglas Xaba, is featured on what I think is Makeba’s best album simply titled Makeba! Both these tracks were great hits and were usually issued together as a single 45 rpm, one notable exception is the Italian version of the Pata Pata LP which includes both as additional tracks. 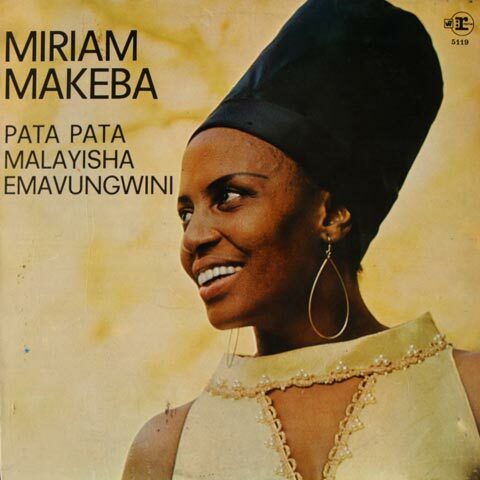 While Emavingwini has been available through the CD reissue of the album Makeba!, neither of these tracks have been featured on any of her “best of” compilations. The bluesy You Suffer Too is the b-side of La Guinee Guine and comes from a series of 11 rare singles issued on the Syliphon Conakry label in the early 1970s, a period that spanned Makeba’s so-called “Guinea Years”— and which is also the title of a fabulous CD compilation of many of her songs from this period. The track unfortunately does not appear on the compilation. Perhaps its blues inflection did not meet the more African feel of the CD… but this track is one of my favorites. 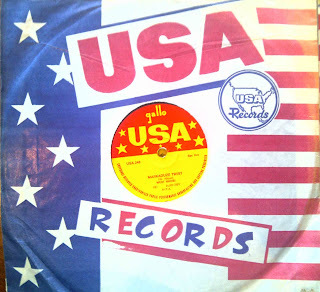 Mansane Cissé is the b-side to Africa, also on the Syliphone Conakry label. 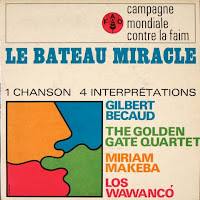 This traditional Senegalese tune is performed by what appears to be Makeba’s backing group, but ironically the instrumental does not include her voice. I however could not resist including it. Les Trois Z is a political song from Zaire (now Congo) by Gérard Madiata. The term "Les Trois Z" referred to the “Authenticité” or authenticity campaign of Mobutu Sese Seko in the Democratic Republic of Congo during the late 1960s and early 70s, to “rid the country of the lingering vestiges of colonialism and the continuing influence of Western culture and to create a more centralized and singular national identity.” The campaign included renaming the country, the Congo River and the currency—“Zaire” and referred to them as Les Trois Z — Notre Pays, Notre Fleuve, Notre Monnaie (The Three Zs — Our Country, Our river, Our Money). 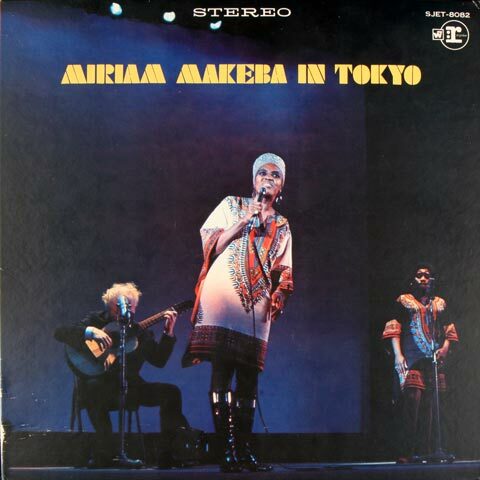 Makeba’s version of the song was a significant influence on a young Angelique Kidjo who found early success with an adaption of it. 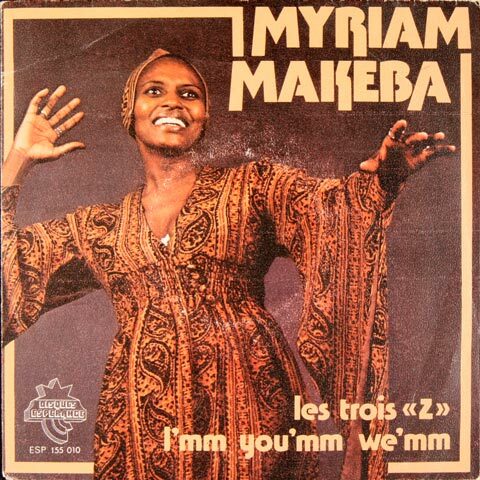 I’mm You’mm We’mm is the apparent b-side to Les Trois Z on this 1975 Disques Esperance single and, to my knowledge neither appeared on any of Makeba’s vinyl albums. Oddly, a pressing error reveals the b-side on this single to be Talking and Dialoging another less common track. 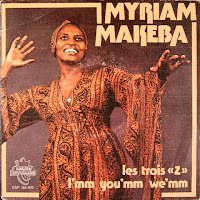 I’mm You’mm We’mm does appear to be a studio recording and can be found on the German CD re-issue titled Live in Conakry but the track does not occur on the original 1970 LP Appel a L’Afrique. 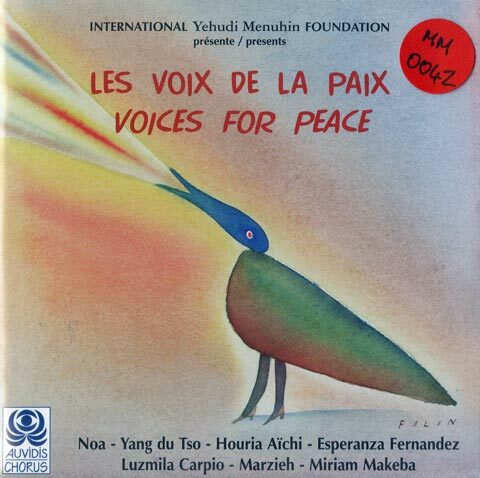 This is a live version of Nongqongqo, recorded in Brussels, comes from a concert Voices For Peace organized by the International Yehudi Menuhin Foundation. 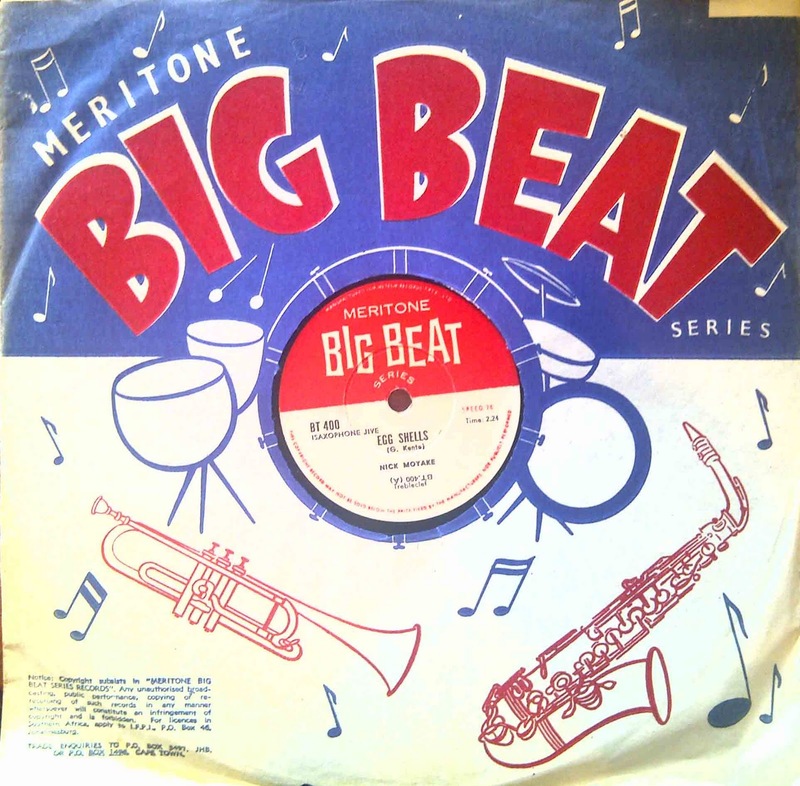 The original version is featured on the classic album, An Evening with Harry Belafonte and Miriam Makeba, issued in 1965 and mentioned above. The song speaks about South African leaders—Sobukwe, Luthuli and Mandela—and their role in the struggle against apartheid. 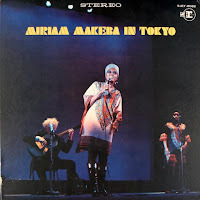 At this point I should add the two tracks Makeba recorded for Toyota in 1980, but as those have already been featured on Electric Jive, perhaps I should end it here! Enjoy! Long term readers of EJ contributor Matt’s pioneering Matsuli Music blog might recall a post from 2009 which showcased two jazz collections issued on Robin Taylor’s Satbel label in the late 1970s, Super Jazz vols. 1 and 2 (here). Stand out tracks on these collections are the two contributions by legendary guitarist Allen Kwela, ‘Black Beauty’ and ‘Quaphela’. 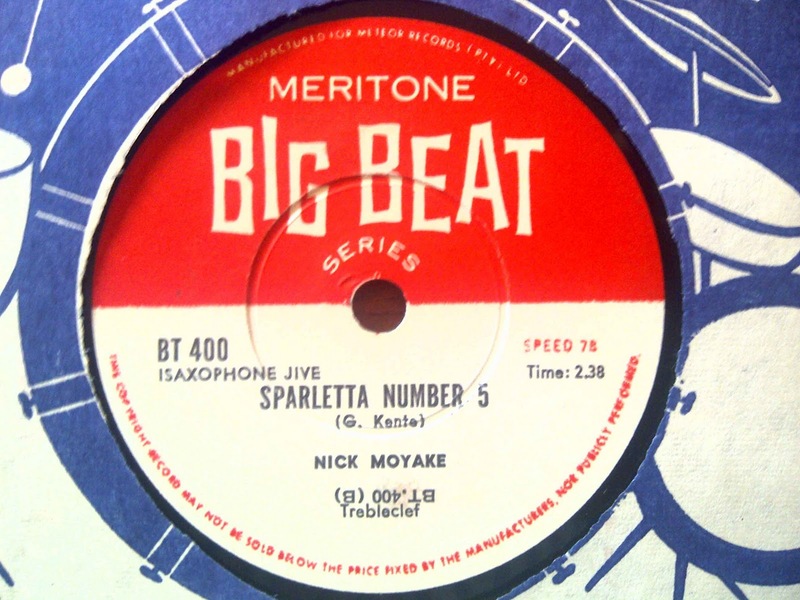 Both titles were lifted by Satbel from the LP Black Beauty, a record originally issued on the Satbel subsidiary label Soweto, and it is this LP we share today. Durban born but Johannesburg based for most of his life and career, the felicitously named Allen Kwela (1939-2003) was one of the pioneers of modern jazz guitar in South Africa, and played a formative role in the development of kwela through his productive early association with Spokes Mashiyane. 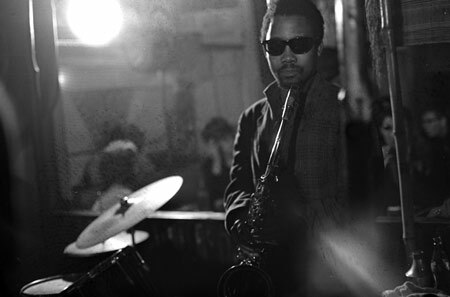 Kwela never enjoyed the success found by his one-time band mate, and recordings by him are scarce. 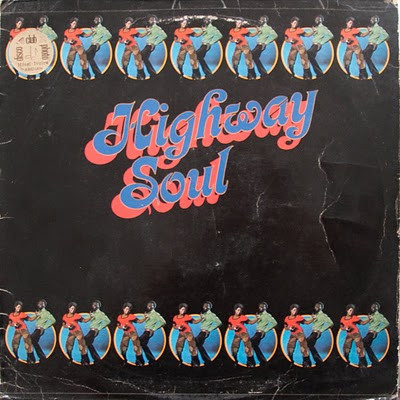 His 1973 LP Allen’s Soul Bag is can be found here, along with some links to biographical information (see also here). Black Beauty is a further addition to the slim discography. The LP sleeve gives no detailed information on the personnel, with the exception of one name whose presence provides a further reason to treasure this music: gracing the session on alto, Kippie Moeketsi.